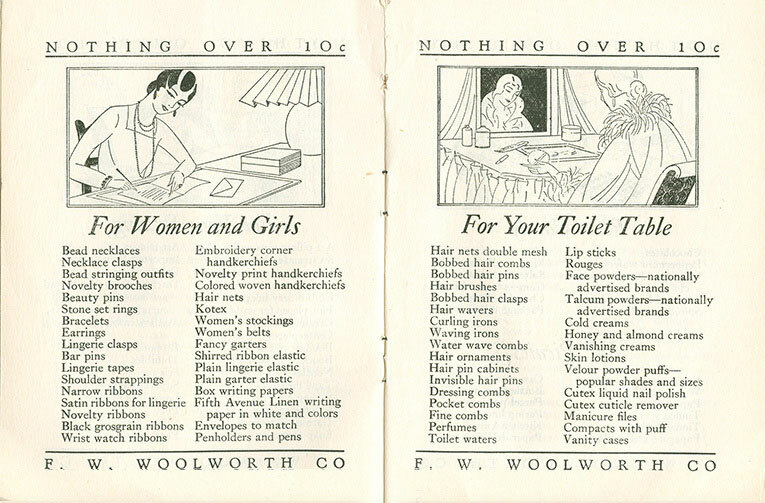 This page of the Woolworths Museum shows further pages from the Home Shopping Guide published by F.W. 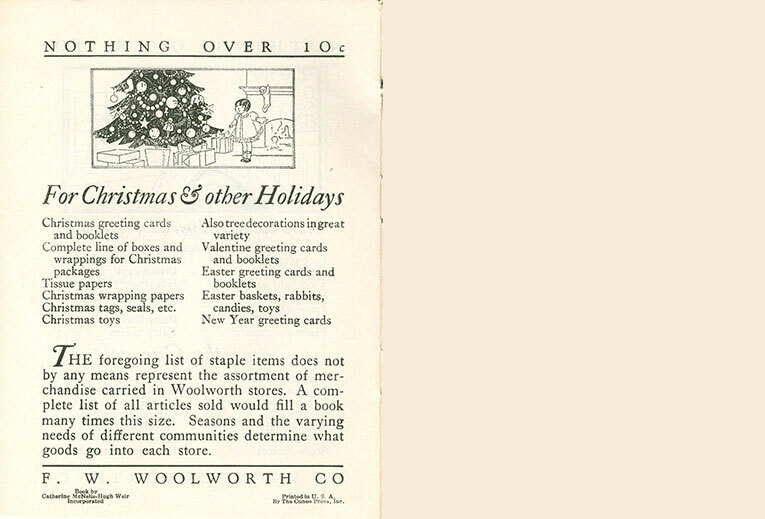 Woolworth Co. as part of its Fiftieth Anniversary celebrations. Although locally sourced, the British stores carried broadly the same ranges at the time. 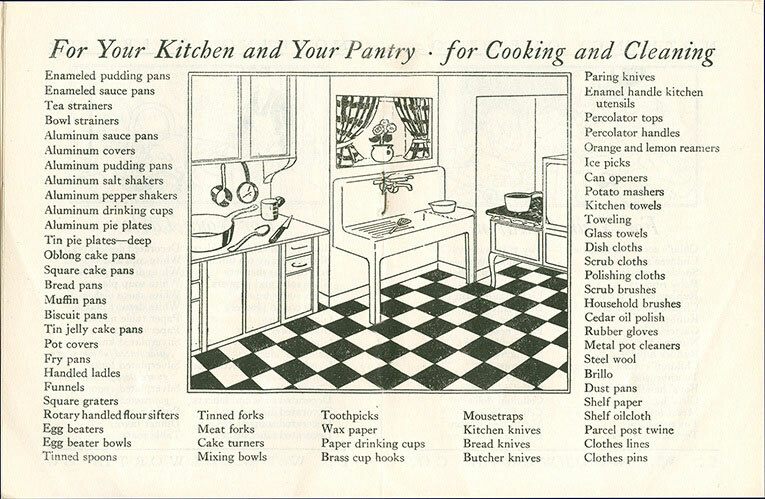 The Home Shopping Booklet was given away free to shoppers at F.W. 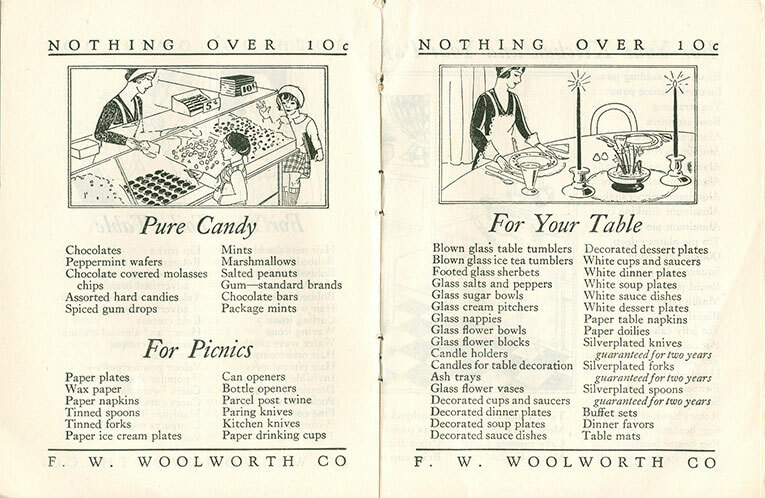 Woolworth Co. stores in North America. There were two versions. A 'Nothing over 10¢' version was distributed across the USA, with the exception of the states to the east of the Rockies, while a 'Nothing over 15¢' version was circulated in Canada and to the west of the Rockies. 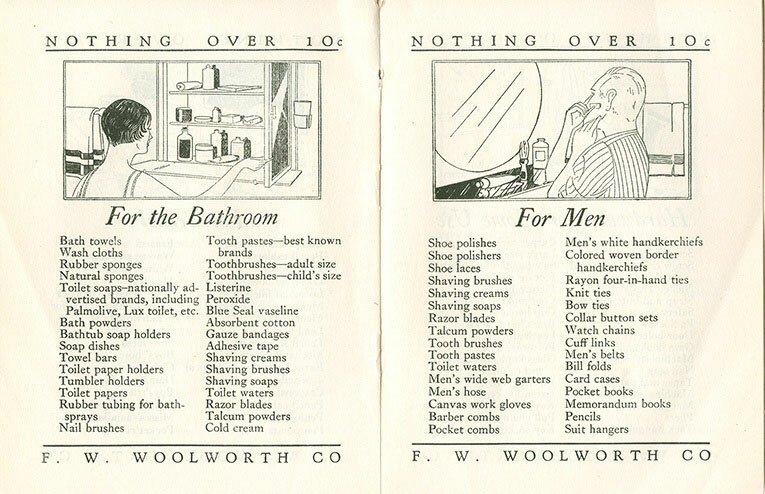 The higher prices in the latter booklet reflected the higher cost of distributing goods to more difficult to reach places like Salt Lake City. Alice White stars in "The Girl from Woolworths" Sixpenny pops "We will have a Woolworth Wedding"